I live in regional Western Australia. 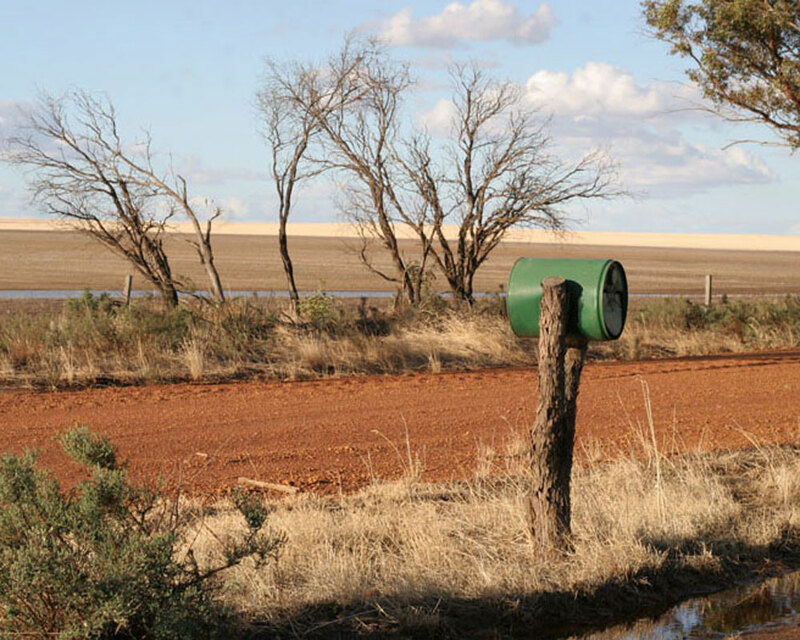 I am a long way from most places, it’s an 80km round trip just to buy groceries, but lucky for me the local postman drives past our farm gate twice a week on his mail run. He says I win the prize for the most parcels to come through his agency and there’s not much in our house that hasn’t arrived in the back of his van. To say I buy a thing or two online may be understating things just slightly. 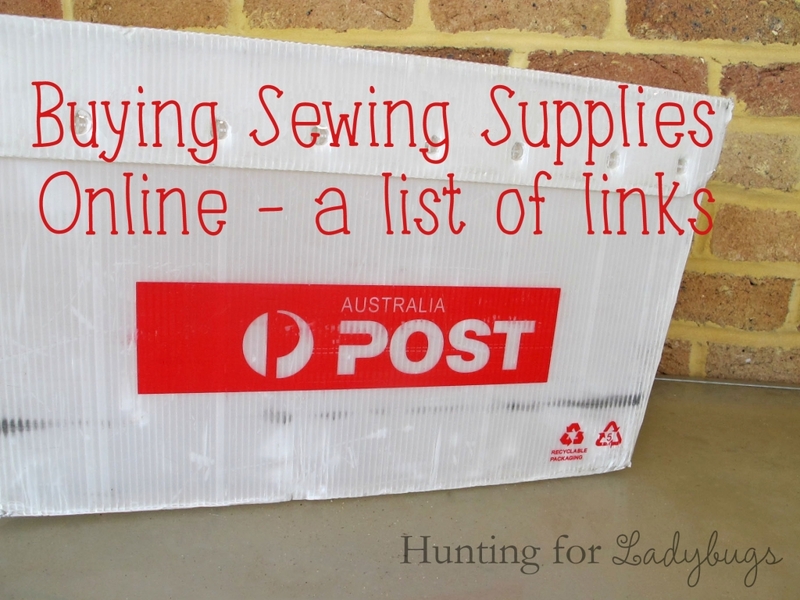 Most of my supplies now arrive thanks to some clicking away on the interwebs so I thought I’d share a few of my favourite but not so well-known sites to source some sewing goodness. Wholesale Suppliers – If you have an ABN for your handmade business – put it to work and sign up for wholesale accounts with Birch Haberdashery and Sullivans International (http://www.sullivans.net/). They have minimum order quantities on some products but you’ll save buying in bulk for items you use regularly. Sew Creative Supplies – Shelley and Alison are based in Perth and stock a range of fabric, bag and sewing supplies. Their store is perfect for handmade shops who want bulk pricing without the huge minimum orders. Fabric2Go – Claire is based in Tasmania and stocks only Riley Blake fabric and trim. Browse both collections and coordinates. Crafty Mamas – – Lisa is my go-to site for quality knits. She is always prompt to answer my email questions on the best fabric for a particular pattern. Two Blue Birdies – Sonya has an excellent range of fabrics and high quality 100% wool felt in simply luscious colours to add a touch of luxury to my ‘for me’ projects. I must have ordered a bit to justify a crate for delivery! I tend to only buy fabric from overseas suppliers and in yard or half yard cuts, mainly from the US. Most sites have a shipping guide but get to know your pre-paid satchels with USPS – for example approx. 9 yards of fabric can be squished into the smallest envelope for the same shipping costs as smaller orders, I think it’s about 20 yards in a box. Modes4U – Taiwan – a great range of unusual fabric prints, including organics. They also sell bento and stationary. Free shipping for orders over $78US. Thousands of Bolts – USA – my go-to source for everyday blenders and coordinates. Avg price of $4.95-$6.95/yd. They have a colour matcher programme that assists in making bundles and a large selection of wide quilt backs. Check shipping information for the best yardage combinations to minimise postage costs. Hawthorne Threads – USA – a wide range of modern prints. They have a tiered pricing system so the more you order, the cheaper it gets. Bug Fabric – USA – this is where I look for a lot of kids prints, particularly fabric for boys/tweens. I normally shop by category. Oh Sew Crafty – UK – I love the polka dots here. The hues available are just like those in an English home magazine. They also have different fabrics available such as satins and PVC tablecloths which I’ve used for waterproof totes. They also have an eBay store which makes currency conversion a bit easier. 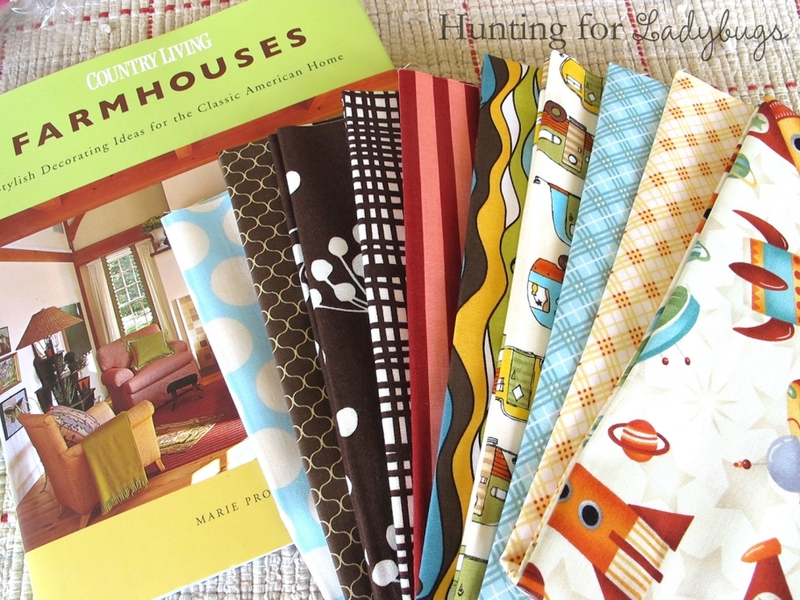 Etsy – – I loved the coordinated fabric bundles available from Etsy-based fabric stores when I first started to buy online. Colours can appear differently on different computer monitors so bundles are great for ensuring all your fabrics will go together, even if they are from different collections. My favourite sellers are Skye Reeve; Laminates; and Mini Mushrooms. I also source vintage buttons from a couple of Etsy sellers – PillowTalk SWF and Miss Pink Robin (Singapore). When I’m looking for something very particular or peculiar, I normally visit eBay or similar first. Having so many sellers in one place helps me find very specific supplies (2” D-rings for example) and they can also make it easier to narrow down what exactly a particular pattern refers to in the supplies list. As you’ve probably found, what is called one thing in one country is often something different in another so I use the product tags the sellers add to their items to do another search and see what else comes up. Just be careful of the quality of the supplies as sometime she who pays cheap, can buy twice if the quality is poor once your physical items arrive. If you can’t find it on eBay/Etsy then a good old fashioned Google search can also help. I was looking for some 2” polypropylene as my usual supplier was out of stock. I ended up finding exactly what I wanted at Adelaide Leather and Saddlery (http://www.adelaideleather.com.au/) but I also visited marine supplier and camping/canvas sites along the way. If you click on ‘Search Tools’ you can narrow your results by country or shopping sites. This article was originally published in Issue 4 of One Thimble – a digital sewing magazine (e-zine) made by sewing enthusiasts for sewing enthusiasts! . Visit their website and check it out today!